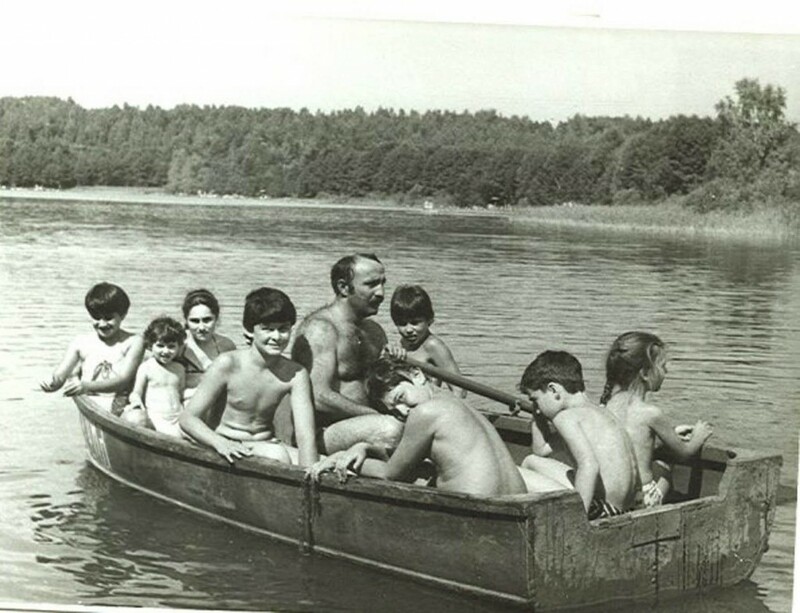 name: margarita / age: 27 / profession: untitled / location: amsterdam / weekday: sunday / reference: this is my father rowing around a group of children, somewhere at a dacha near minsk (belarus). when i showed him this picture he said that this was one of the things he liked about living in a communist (socialist?) country… that when the weekend came you had complete freedom from work…you weren’t thinking about it seven days a week, there were moments to just let go.